Getting your name on a customer’s desk is often a challenge. This is a new desk item I found that can be logoed. 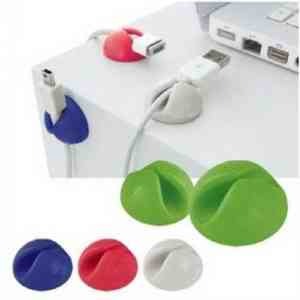 It helps to keep all those cables secure on your desktop.